The McKinley Park Civic Association, the neighborhood's longest-serving community group, plans to celebrate its 46th year of service at its annual banquet, scheduled for 1 p.m. on Sunday, March 5, 2017, at Polonia Banquets, 4604 S. Archer Ave., Chicago. In addition to offering victuals and camaraderie with friends and neighbors, the event will also honor local educators and contributors to the McKinley Park community. Alderman George Cardenas speaks at the community healing ceremony on Oct. 29, 2016. Neighbors gathered by the McKinley Park lagoon on Saturday, Oct. 29, 2016, to conduct a healing ceremony following the discovery of human remains in the lagoon on September 23. 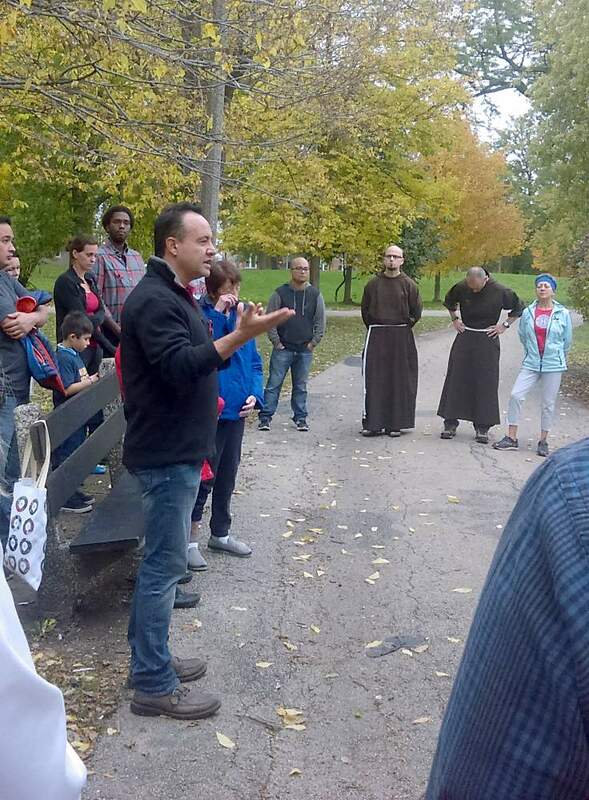 12th Ward Alderman George Cardenas and Pastor Darrell Dalton of Bethany Baptist Church spoke at the event, as well as prayed with residents and local Franciscan monks. Cardenas asked residents to remain vigilant, but he encouraged all to continue to enjoy and use the park. Among other measures, new surveillance cameras will be installed in the park, Cardenas said. The ceremony follows the discovery of human remains, including a severed human head and bags of body parts, in the lagoon by Park District workers. In the course of its investigation, the Chicago Police Department cordoned off much of the east end of McKinley Park and drained the lagoon. Officers from the McKinley Park Advisory Council (MPAC) have related that the refuse uncovered by draining the lagoon will be cleaned up by Park District workers, and that the lagoon will soon be refilled. 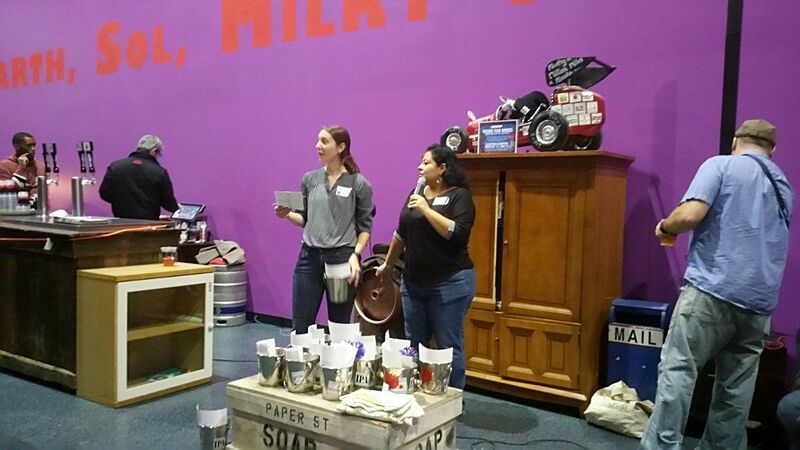 Held at the event room inside Lagunitas Brewing Company Chicago, the fundraiser for the McKinley Park Adviisory Council (MPAC) brought together dozens of neighbors, community leaders and McKinley Park supporters for a fun night of food and drink, gaming, raffles and cameraderie. All proceeds for the Oct. 24, 2016, event are being put toward expansion of park programming and events. 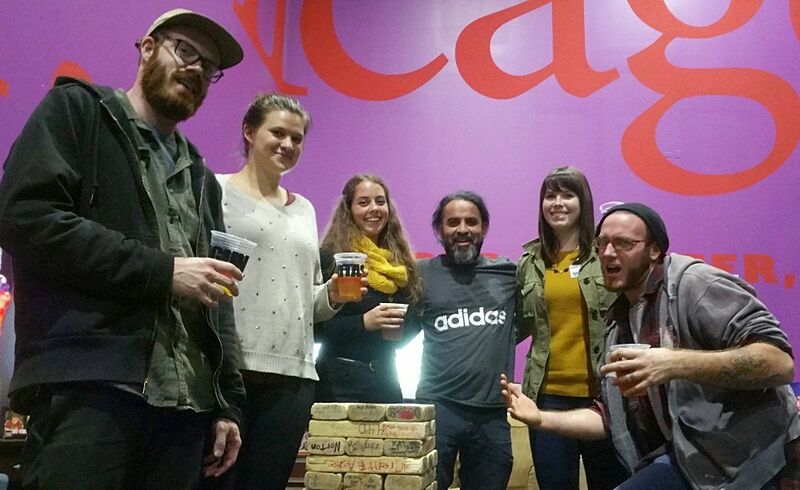 Big Jenga players and MPAC fans include Benjamin Dimoch, Kate Ulschmid, Cassie Pontone, Jorge Alejanbre, Lindsay Washburn and Steve Adkind. 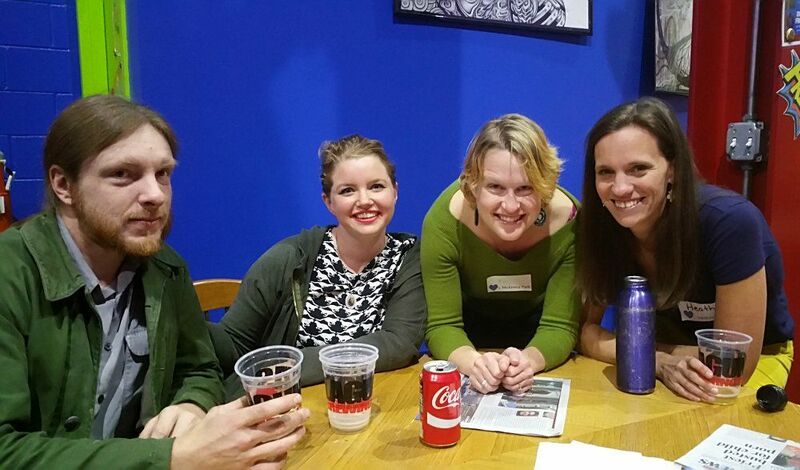 MPAC fans and volunteers Nicholas Efrosinis, Fiona Cook, Kate Moser and MPAC Treasurer Heather Breems enjoy drinks and conversation at the fundraiser. Dozens of fans of the advisory council nosh on pizza, quaff Lagunitas brews and network at the fundraiser. 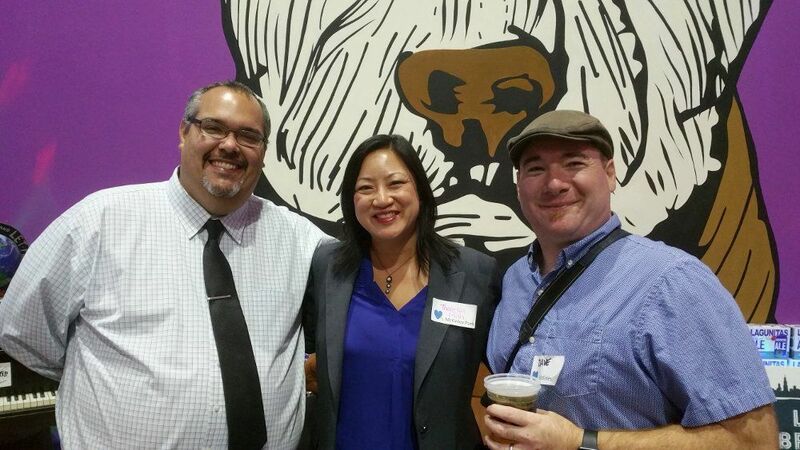 McKinley Park Advisory Council supporters, including Theresa Mah, center, and David O'Malley, right, enjoy the event and company. 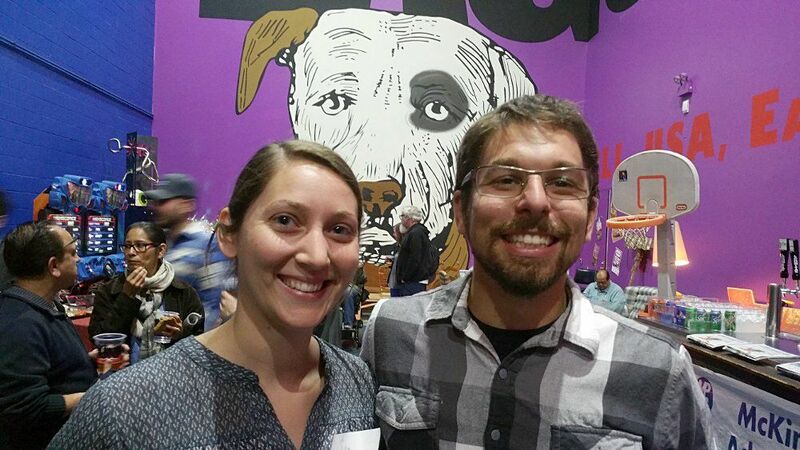 MPAC Vice President Samantha Hertel and John Belcik smile at the success of the event. MPAC Vice President Samantha Hertel and President Veronica O'Malley raffle the many prizes donated to benefit the park and its programs. 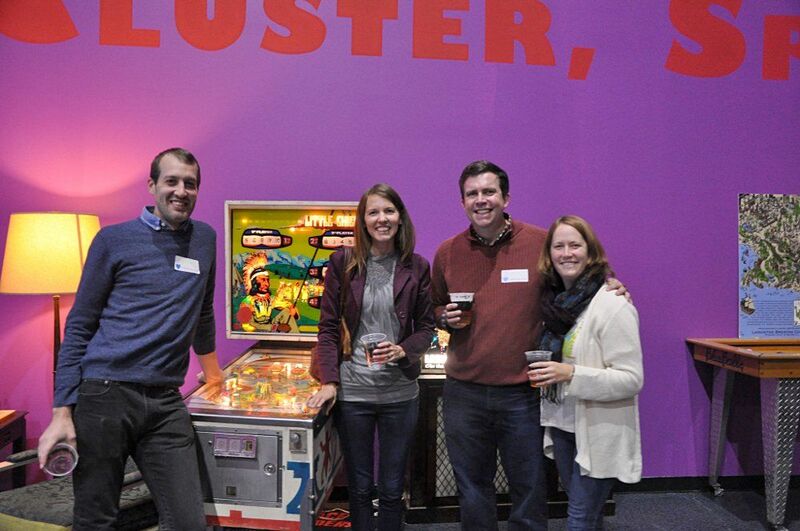 MPAC fans and volunteers take a break from pinball: left to right are Skyler, Corenna Roozeboom, Justin Kerr and MPAC Secretary Katie Flores. Photo by David O'Malley. 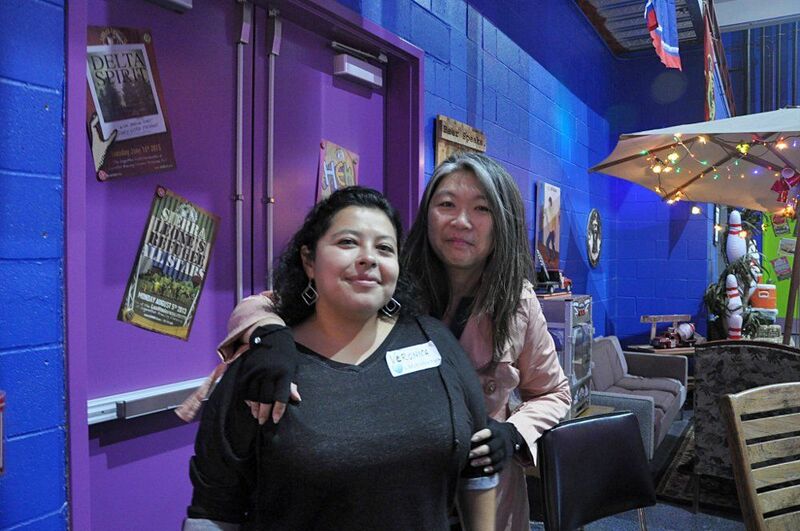 MPAC President Veronica O'Malley and Queenie Chong enjoy the party vibe at Lagunitas Brewery. Photo by David O'Malley. 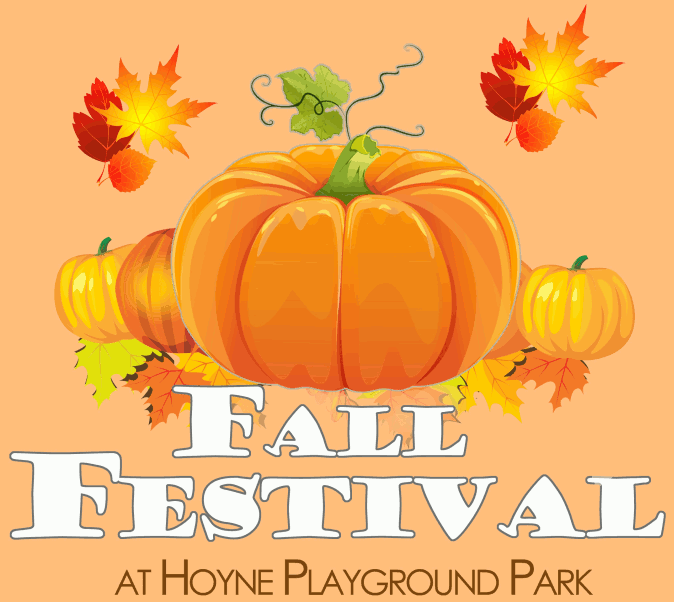 Hoyne Park's Fall Festival takes place 1 p.m. to 3 p.m. on Sat., Oct. 22. The McKinley Park neighborhood plays host to a stellar lineup of seasonal events through Halloween and beyond. From engaging kids workshops to adults-only soirées, local community groups and institutions have lined up a full slate of fun and engaging activities. The Fall Festival at Hoyne Park lets kids and families enjoy pumpkins, face painting, bounce houses and more from 1 p.m. to 3 p.m. this Saturday, Oct. 22, at the park, 3417 S. Hamilton Ave. This free event is sponsored by the Chicago Park District with support from volunteers and the Hoyne Park Advisory Council. 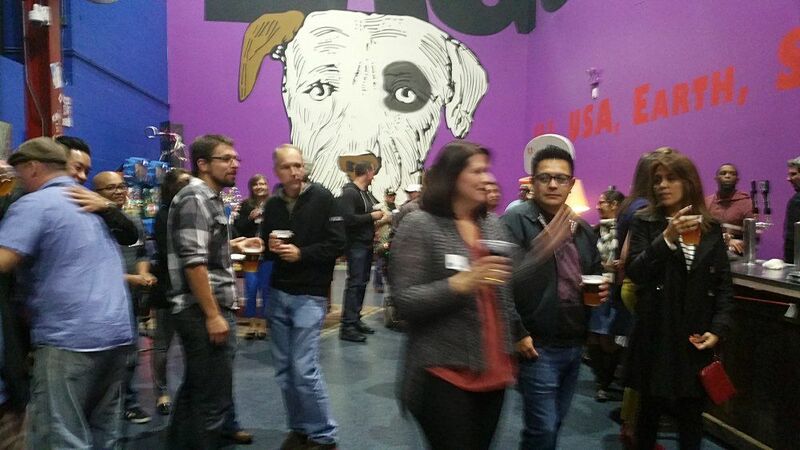 McKinley Park's hottest social ticket is the MPAC FUNdraiser at Lagunitas Brewery, 5:30 p.m. to 8:30 p.m. on Monday, Oct. 24, at Lagunitas Brewing Company, 2607 W. 17th St. This 21-and-over affair features food, $5 drafts, a silent auction and raffle, and networking with neighbors and local community leaders, including the volunteers who power the dynamic and highly active McKinley Park Advisory Council. Admission costs $10 with all proceeds dedicated toward more programs and events at the park. 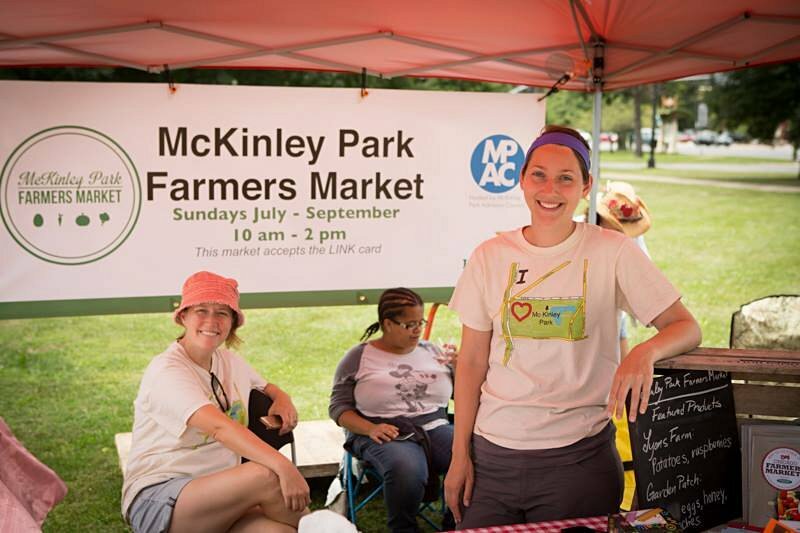 McKinley Park Advisory Council members, including Katie Flores, left, and Samantha Hertel, right, man the booth at the McKinley Park Farmers Market. Continuing its mission of supporting McKinley Park, the McKinley Park Advisory Council (MPAC) elected new officers at its meeting on Sept. 12, 2016, at the McKinley Park field house. New officers are President Veronica O'Malley, Vice President Samantha Hertel, Secretary Katie Flores and Treasurer Heather Breems. MPAC has been extremely active over the past year, with lineups of both special programs and ongoing activities. This has included a Latin and hip hop dance class for adults and teens, a poetry slam, Painting in the Park sessions for kids and adults, ecology classes, premier performances like Midnight Circus, and stewardship days for cleaning up the park and lagoon.